Marin County has rich and poor living nearby, a report says. 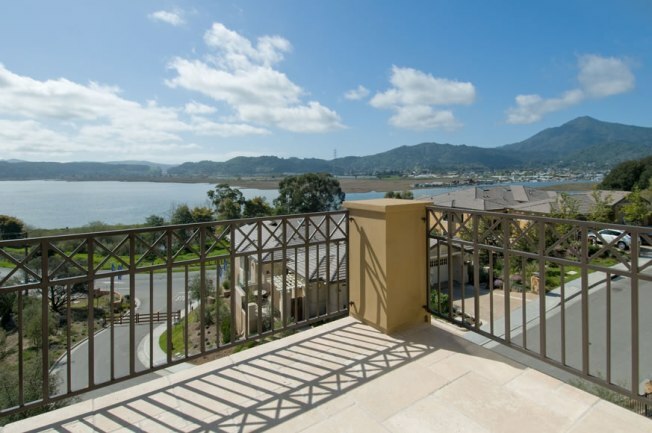 Some with views like this in Marin live right next to others who could never afford this view. Within view of hilltop Marin County mansions' stunning bay vistas -- inhabited by folks who make twice the average wage of the typical American worker -- are places like San Rafael's Canal District, where the average income is $21,000 a year, long waits in lines for free Thanksgiving turkeys are an annual tradition, and where half of high school students qualify for reduced or free lunches. Marin County has some of the starkest economic disparities in California, according to a new report entitled "A Portrait of Marin," which highlights the vast disparities between places like Ross, Tiburon, and Belvedere and nearby Marin City, Novato, and San Rafael's Canal District. A wealthy area means long lives, good education, and better recreatiom opportunities, while a poor area means unhealthier residents, bad food, and nothing to do, according to the Marin Independent Journal. On average, Marin is still a very nice place to live, with better home values, wages, and other factors indicating a better quality of life than most anywhere else in the United States, the newspaper reported. The median American salary is $29,530, and Marin's is $44,246. But dig deeper, and one sees that the top fifth of Marin's wage earners take home 71 percent of the county's income, while the bottom fifth or 20 percent of Marin workers must squabble over 1.3 percent of all the money, according to the report. How to fix this stunning disparity, with rich and poor living in close quarters and no end to the high-low contrast in sight? Spend more on preschool, keep low-income and minority students in high school, and spend more per student. We'll learn our way out of this.